The Suzuki Association of Peru is very grateful to the SAA and to those who donated to the Latin American Suzuki Scholarship fund. The results of this generosity of spirit are immeasurable and far-reaching. Over sixty foreign scholarship recipients returned to their countries following the festival, with a new vision for their teaching. Many see the Peru festival as a model for their own teacher training programs. This year we hosted teachers from Argentina, Bolivia, Brazil, Chile, Colombia, Ecuador, México, Paraguay, Uruguay and Venezuela. 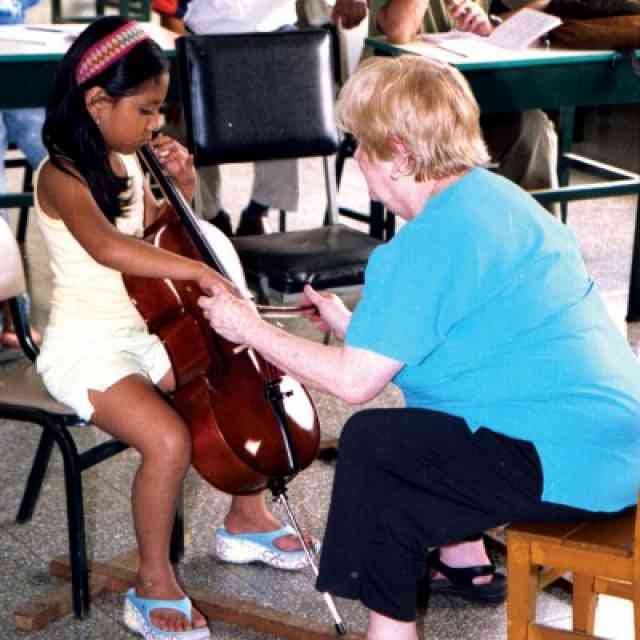 Carol Tarr and young cellist in Peru. This year of the more than 260 teacher participants, 200 were Peruvian teachers, traveling from all over Peru, half of whom were on scholarships. An impressive delegation of over 30 teachers and students came from the mountain town of Huánuco in the center of Peru. In an effort to influence education beyond the musical community, we offered a new philosophy course “Talent Education,” designed for preschool teachers, primary school teachers, educators, administrators and parents. Roberta Centurión was the instructor and more than 50 participants attended. In addition, there were more than 70 participants in the regular philosophy course. Attendance at either of these courses was a prerequisite for the Early Childhood music courses taught by Roxana del Barco and Maria Luisa del Rio. In the children’s festivals, for the first time, over 40 young guitarists participated. This is the result of many years of guitar teacher training and pays credit to the local guitar teachers’ committee truly working together and supporting one another. In piano and violin, the range of the students’ levels was from pre-Twinkle to the most advanced book. Cellists, recorder students and for the first time flute students also participated in a variety of classes and workshops. During the two final concerts, soloists aged 8-16 years played with the Peruvian Youth Orchestra directed by el maestro Wilfredo Tarazona. Sixteen-year-old Carlos Breña performed as a soloist in the Mozart piano concerto K414 and the Mozart violin concerto in D major. 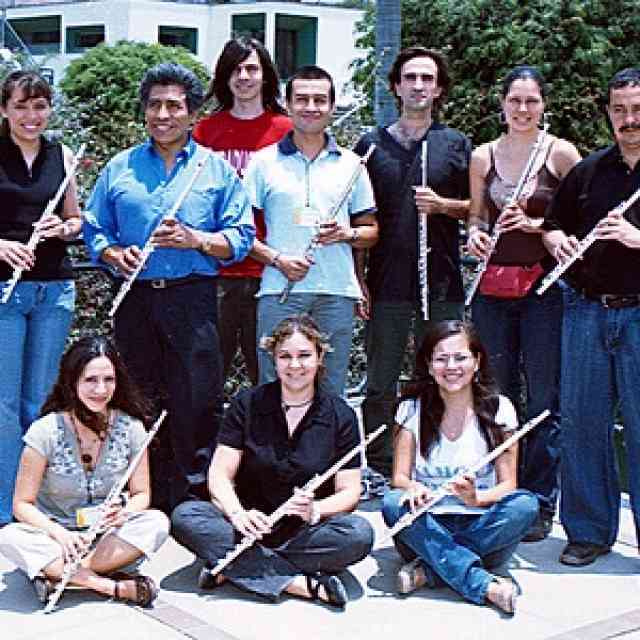 This year the Suzuki Association of Peru inaugurated another highly successful course: “Teaching Strategies,” a mini practicum course on all instruments. “…the only way to learn how to teach is by teaching. The theory we receive in the unit courses would not have any worth unless we put it into practice with the children. It is even better if the same teacher who has imparted the knowledge guides the practice”. Thank you Johanna, for your words of wisdom! If we tried to teach children to play an instrument by simply telling them how to play and never hearing them play, what would the results be like? Would we ever know? How would we know where to start in the following lesson? Would we presume that what we had told them had been “learned” and therefore proceed with the next piece? Of course, that sounds absurd, especially to Suzuki teachers. However, this is how we have been teaching our teachers to teach. We tell the teachers how to teach, hear them play, and then move on, never having seen them teach, assuming they have learned what we told them. How do we know where to start in the following unit? In setting up our teacher development program, we forgot one crucial point: that we all learn by doing. We understand that when it comes to children. We aim for unconscious competence in our students and know it will be achieved through repeated and guided practice. Teaching teachers how to teach requires the same repeated and guided practice. This is why we initiated this new course. Just as teachers take full responsibility for the students’ performances, so must the teacher trainers take full responsibility for how the teachers teach: pretending to “train teachers” without ever seeing the teachers teach is, in my opinion, irresponsible. The “Teaching Strategies” courses were taught by Pat D’Ercole and Marilyn O’Boyle (violin), Andrea Cannon (guitar), Carol Tarr (cello), David Gerry (flute), Doris Koppelman and Caroline Fraser (piano). Each teacher participant taught a lesson and received feedback on their teaching. Local teachers provided the students for the foreign teachers. The differences between these courses and the present practicum are the length of the course (10 hours as opposed to 15), fewer days (2 as opposed to 5), the number of participants (10 as opposed to 5), and the cost (cheaper). More participants meant more camaraderie. Everyone wanted to sign up. “I’d like to congratulate the organizers who made this course possible, since it was a very good opportunity for me and other teachers to receive interesting comments and suggestions regarding the way we approach every student. Deep observations and at the same time a subtle leadership shown by the teacher trainer, set the appropriate environment, so that all the teachers felt comfortable with everyone’s teaching. The Early Childhood teachers in Peru have decided that they will also offer a Teaching Strategies course next year. Colombia and Argentina will include Teaching Strategies courses in their festivals. Peru will integrate this kind of course into the Teacher Development program. On the 17th of January we held a mini-Encuentro for teachers. This was an opportunity for each country and region of Peru to present information about the events of the previous year, and focus on its vision and plans for the future. There was also a session on how to apply the Suzuki philosophy to Youth Orchestra programs. Deborah Moscoso and Dario Dominguez, teachers from Buenos Aires, described their orchestral program and shared a videotaped performance. Afterwards we had a breakout session to discuss how their program reflected the Suzuki philosophy. Based on the discussion the Suzuki Association of Peru drew up the following document, which will be used to help orchestras form and grow in such a way that the students continue to feel nurtured and supported. Later in the afternoon, there was a session on how the Suzuki philosophy can benefit members within a growing organization. Everyone had a turn to make one suggestion. Andrea Gallo from Buenos Aires said, “Ear-training: learning how to listen.” How true! In addition to Festival participants from all over Latin America, we had teachers from the USA, Canada, France, Germany, and for the first time a pianist from Serbia/Montenegro. My name is Sabrina Brunsdale and I am a 17 year old from Highland, Utah. Just recently, I found the perfect service project for me! I learned of a Suzuki teacher in Peru named Caroline Fraser. Caroline works with teachers who teach children in the provinces outside of Lima. I decided to collect Suzuki supplies for these students. My family and I handed out flyers to our teachers and made announcements at school and at our orchestra concerts for people to bring their old Suzuki supplies (CD’s, books, flash cards, rosin, strings, shoulder pads) so we could send them down to Peru. We gathered Suzuki things for every instrument, and we actually collected more viola things than violin! My orchestra teacher works at Summerhays Music and he graciously agreed to fix up some bows and send them down as well. As it is hard to send things directly to Peru, we sent them to Suzuki teachers around the country who agreed to take them down to the 21st International Suzuki Festival held in Peru in January. I am planning to do this project again to see if we can get even more supplies for the people in need in Peru. Maybe some day I will have the opportunity to test my Spanish language skills in Peru in person! During the piano Book 1 course, we had an animated class discussion on the pros and cons of using words to help children learn rhythms, of singing all the music with texts and of “explaining” musical form with images or games. I stated that while there are many ways to teach, I choose to teach music through music: to form a direct connection between the sound in the ear and the sound on the instrument. I do not use any of the previously mentioned strategies to help the beginning child learn the music. A course participant, Rodrigo Gonzalez, from Monterey, Mexico, approached me during the break and mentioned that his doctoral studies in Neuro Linguistic Programming at the University of Texas, at Austin addressed this very topic. Playing the piano can involve as many activities as one can imagine. There are many examples of pianists who say note names while they play; some who visualize places or activities elicited by the character of the music; there are others who go through a complete harmonic or formal analysis while they play, etc… These activities happen in the mind of the pianist while none of the people listening are aware of this happening. Furthermore, these activities are difficult to teach, they seldom have anything directly to do with the actual performance, and they can actually interfere with the performance itself. The Suzuki strategy for playing the piano guides the musician to the very essence of making music in a very direct and natural way. Neuro Linguistic Programming defines strategy as a series of representations (internal or external sense perceptions) arranged in a certain order, to accomplish a certain activity or goal. Before analyzing the Suzuki strategy for playing the piano, let us analyze a couple of strategies by way of examples. Let us imagine we have to a) select a fragrant rose, and b) select a great white rose with a long stem. In the first of the strategies, we would certainly first smell (external olfactory perception) all of the flowers without paying attention to color, shape, or size. We would then select those, whose fragrance comes close to what we would expect (comparison of the olfactory perception with our internal representation of how a rose should smell). Finally, by repeating this comparison, we eliminate those less fragrant roses until we keep the one that best fills our expectations. In the second strategy, our eyes would be searching only for the white roses that have long stems (external visual perception). We would then compare the longest white rose with our internal representation of it, and if it matches, we keep the rose; we would perform this strategy, of course, with no regard to the fragrance of the white rose. It is clear that depending on the activity or goal we want to attain, we design the strategy that best suits it; we therefore, do not need to see whether the rose is white or red if what we want is a fragrant rose. It is interesting that similar to mathematical formulas and computer programs, elegance goes hand in hand with efficiency; the best strategy, the best program or formula is that which performs the activity or reaches the desired outcome in the least amount of steps. Because the Suzuki method is modeled on how we learn our mother tongue, it is now convenient to analyze what happens in the first stages of language learning in terms of strategies. At first the stimuli are mainly auditive (motivation and reinforcement may come from other sources such as love and attention). The baby is surrounded by sounds he recognizes little by little. Through trial and error he learns to codify, understand, and to associate those sounds with the physical means he needs to articulate them (the baby trains his “talking” apparatus). This activity increases gradually in complexity and refinement. Talking means the baby has trained his “talking” apparatus to translate an internal auditive stimulus into exterior sound. A pianist’s task is to translate an internal auditive representation (the music, as it exists in his mind) into actual sound, by means of his body already trained to perform such “translation.” To use an analogy, spoken language is to the baby as music (the Suzuki repertoire or any other music that he hears and retains in his auditive memory) is to the pianist. In the first stages, the piano student fills his auditive memory, just as the baby memorizes words he cannot yet pronounce. In his approach to the piano, guided by his teacher, the student learns how to translate his auditive memory into actual sound; he trains his body to perform the necessary movements to create the desired music. Just as it happens with spoken language, where a child can pronounce any word he hears, a well-trained Suzuki student can perform music upon hearing it, with utmost fluidity and in the most natural way. The arguments one can pose against such a strategy for learning the piano can be related to the alleged need that the child (even as beginner) know the symbology and terminology of what he is doing. (It seems we have a cultural fixation with using words to explain things). A child does not need to know that the letter “r” is a liquid consonant, number 18 in the English alphabet, or its shape, in order to pronounce it. For the same reason, a young beginner does not need to learn from the score, or from note names and terms of expression, agogics, dynamics, etc, in order to make music. At this early stage, the child only needs to have the music in his head and a good teacher who shows him how to bring it out in the most refined way. The teacher’s task is then to guide the student through musical experiences, gradually more complex, always promoting the most musical and fluid strategy (internal sound-playing-external sound). By so doing, the experienced student or professional musician, even while reading, analyzing, or verbalizing, can always bring back the experience of playing from an internal auditive representation. The Suzuki strategy for playing the piano is most effective. It involves a minimum of steps in an order, that is, not accidentally, the same strategy through which spoken language has been learnt through generations. Could there be a more appropriate strategy for piano playing than that, which translates music in the mind into actual sound? Hardly. The Suzuki strategy, modeled after how we learn our mother tongue, is the most direct, and consequently the most efficient and elegant one for piano playing. Earned a B.M., M.M. and D.M.A. (1995) in applied music (piano) from the University of Texas at Austin. His dissertation is a case study on how pianists make expressive decisions, memorize, and perform in public, using the “strategy” tools of Neuro Linguistic Programming (N. L. P.). 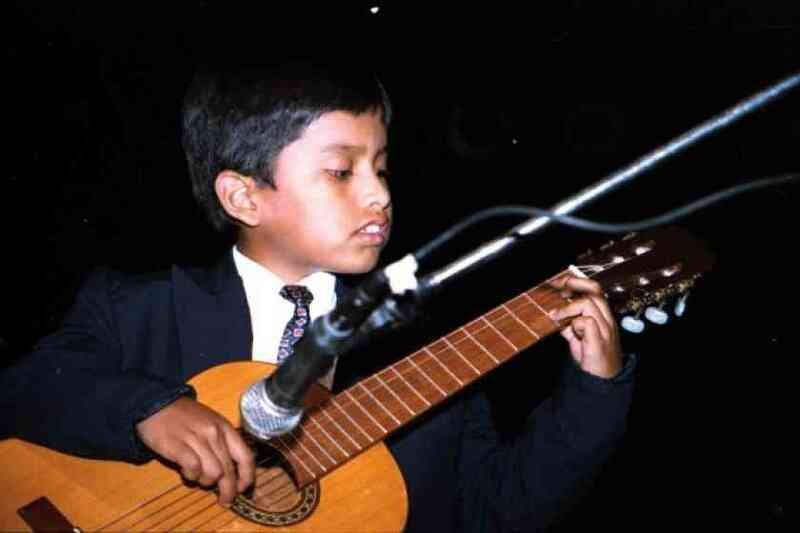 A native of Mexico, music making, music festivals and workshops have taken him to many corners of the world. He has performed solo, chamber music, and with orchestra in Mexico and abroad. He has participated as a judge of the Concurso Iberoamericano de Piano (La Habana, 2004). At present, he directs “Expresión Musical Artistica”, the music school he founded in 1995. On behalf of the Suzuki programs in Latin America, I want to thank the SAA once again for the continued support in the form of teacher trainers’ airfares and a generous donation to the Latin American Scholarship Fund. 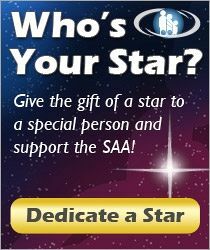 Thanks to all our donors, some of whom have chosen to be anonymous. Thanks to musicians in Canada (inspired by Carmen Wise) and California (coordinated by Rebecca Boblak) who gave fund raising concerts; to Dale, Sabrina and all others who gave of their time and energy to find instruments and accessories to send. A special thank you to David Gerry who brought a handsome collection of donated flutes with him. Thanks to everyone who has helped make our work possible, including our dedicated teacher trainers, who travel home exhausted and hopefully exhilarated! There is a great deal to do, and with your caring and your assistance, we are a tiny step closer to the realization of Dr. Suzuki’s dream: a better world through music. Reinforce and support the instrumental teachers by paying attention to good tone, playing with ease, and good intonation. Motivate and support the students. Create a positive learning environment. Broaden the students’ musical experience. Give the students the experience of playing in ensemble. The conductors and sectional instructors should be excellent role models for the students both as musicians and as human beings. The minimum level for entering the orchestra should be students who have finished book two with good posture, excellent tone, attention to intonation and who have acquired a basic knowledge of music reading. The selected repertoire must be appropriate for the students. It should be less difficult technically than the music the children are studying. It should be music that the children can play well and with ease. It should allow the conductor to work on good tone, dynamics and musicality. Participants’ comments translated from Spanish by Caroline Fraser.